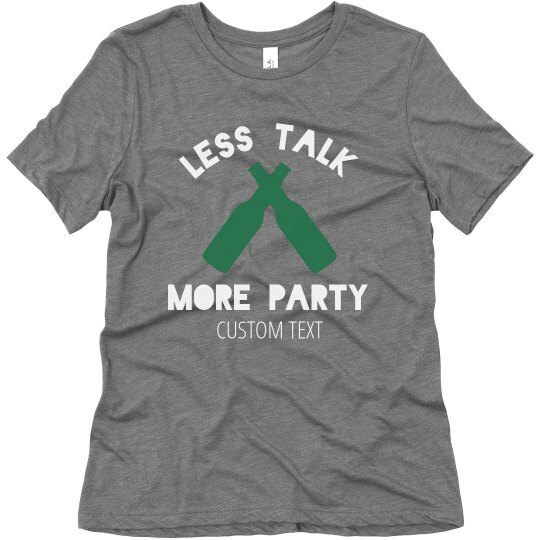 A little less talk, a lot more party. Those are the rules for St. Patrick's Day this year. Customize this funny and festive t-shirt to wear out while you celebrate the luck of the Irish this March.